Dealing with stained glass repairs can be complicated. Not only do you have to identify the cause of the damage, but you also have to go through the trouble of finding a repair company who can restore your stained glass windows. Not all repair companies are equipped with the necessary knowledge required for handling delicate historic stained glass. Then, once you do find a company who can handle the repairs, you have to pull together the necessary funds for financing your project. However, it might be helpful to know that you’re not alone in this issue. Many historic churches are now at an age where their stained glass needs treatment in order to prevent it from falling apart and being lost forever. 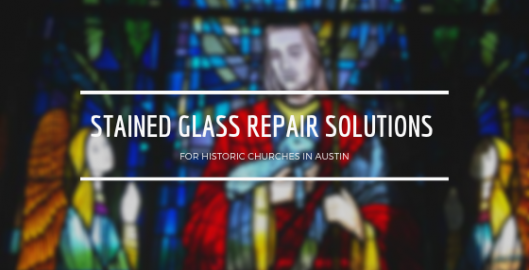 Even furthermore, many churches have found ways to solve their problems with financing and accomplish their stained glass repairs in Austin in a cost-effective manner. 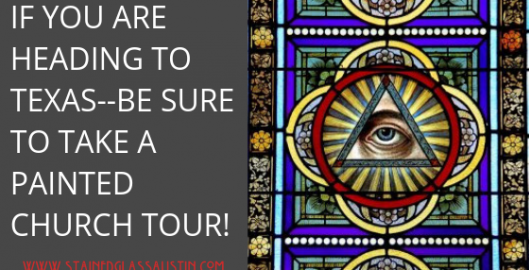 In this article, we’ll share some tips on stained glass repair for Austin historic churches. 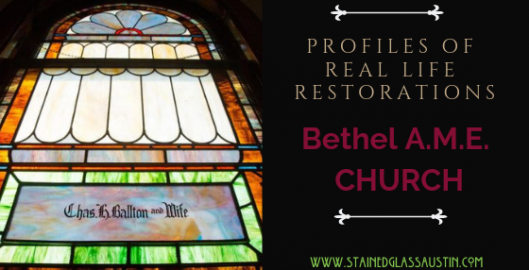 Stained Glass Restoration Tales: Bethel A.M.E. 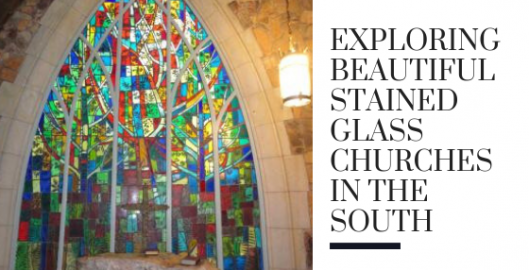 While it is true that Church stained glass restoration can sometimes be expensive, is so very important to the history of American churches of all denominations and likewise breathes new life into congregations. Moreover, it brings total joy to parishioners. So for churches here in Austin an around the country, it is something for churches with stained glass windows to consider, whether those windows are small and minimalistic and or majestic and intricate. A very strong example of how enriching stained glass restoration on a chapel can be is seen in the recent sanctuary restoration of Bethel A.M.E. Church in Huntington in NY. This charming old church has the distinction of being Huntington, NY’s oldest African American church; something that carries with deep historical significance both for the area and for the African American culture within it. 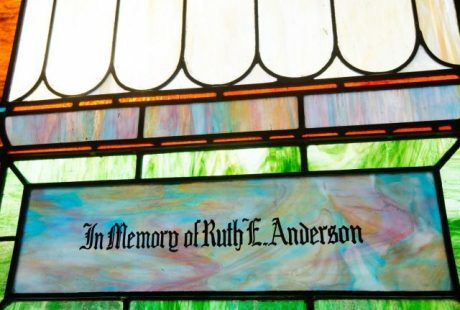 This particular program cost right around $50,00 and took about two years to complete but to the parishioners, it carried deep meaning since they felt they were preserving more than just their windows but their culture while paying homage to those bygone parishioners that put so much into founding church and their original stained glass windows. As you can see from the pictures below the stained glass windows in the sanctuary at Bethel A.M.E. were simple but gorgeous and definitely true to the style of the era– during the era in which they were installed–1924. However, over the years the condition of these once flawless stained glass windows had deteriorated so in 2016, Rev Larry D Jennings decided it was time to restore them from their very poor condition; not only because the window really needed it but because he and the congregation saw the historical value and also thought it was a smart way to respect the original generosity of those who likely sacrifice for them to be installed. 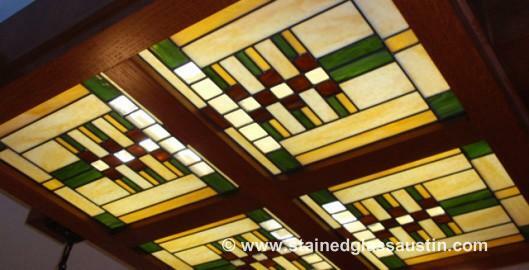 Paying for stained glass restoration is often an expensive endeavor and finding funds a challenge–but well worth it. Luckily for Bethel A.M.E. a town historian, Robert Hughes found grants from the Robert David Lion Gardiner Foundation for $20,000, them the Sacred Sites program of the New York Landmarks Conservancy for $10,000; and finally The Gerry Charitable Trust for $5,000. The costs that remained were covered by donations from the congregation itself. And the results could not be more breathtaking. If you have a church here in Austin that has windows you love but that are clearly aging and need repair, and you are considering having them restored as a way to breath new life into them and your congregation, we at Stained Glass Austin are able to help guide you through the process, costs and even fundraising for stained glass restoration as well. Contact us today for more information and for a free consultation/stained glass inspection. Have you been considering ways to improve your chapel? Finding effective, compelling solutions that add meaning and intent to your services can make all the difference for your congregation members. Your flock turns to you in their time of need, often looking for inspiration and meaning in their situations. Custom stained glass is a brilliant way to inspire your flock. 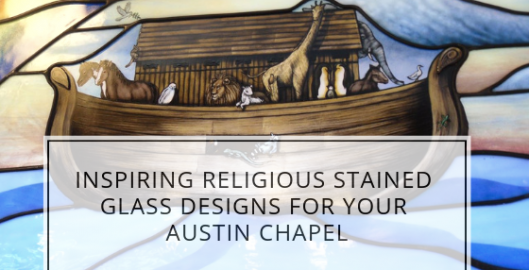 Stained glass has offered a means of inspiration for centuries, providing a tested and true way to improve your Austin chapel. When visiting Austin a fantastic little activity is going to see the legendary “Painted Churches” which are the pride of many parts of the state. Painted churches are historic chapels and churches painted by German and Czech immigrants, they use bright colors and bold patterns as a way to celebrate their continued success as pioneers and to keep their spirits high in times of trouble. Better than visiting a single church is doing an entire tour and one of the best is put on by The Schulenburg Chamber of Commerce. They have a lot of knowledge about the area’s painted churches and will provide you with one of the most spectacular and thorough tours in Texas. They also have great ratings on Trip Advisor and other review sites–so you know it will be worth the $10 fee. As stained glass professionals here in Texas, we at Stained Glass Austin, appreciate the preservation of such amazing treasures that illustrate Texas’ long and colorful history–like the painted churches. In fact, we like it so much, we decided to write a little about the best churches included in the tour and the stained glass windows within them. This lovely vintage church is Nicknamed “The Pink Church”. Built in 1907, it is technically the third church built on this site because both churches before it were destroyed by natural disasters. The current stained glass windows are more simple than the ones before but breathtaking anyway and still show some hints of the previous Gothic Revival-style of architecture they were built in. The Saints Cyril and Methodius Church were designed by is famed architect Leo Dielmann after the original church was destroyed in a hurricane around 1909. Dielman’s actually designed over 100 churches in Central Texas and it is easy to see why after visiting this church. The stained glass in Saints Cyril and Methodius is surrounded by some of the most beautiful interiors of almost any Texas painted church– a hallmark of Dielman’s designs. St. Mary Catholic Church in High Hill has a brick exterior with a wooden interior and as such, is different than most other churches in the area. This is because the community chose to build this church out of brick and stone since many were destroyed by storms and fires. St. Mary was also designed by famed church architect Leo Dielman and is of interest because it was the first one he designed. Once again his Gothic Revival style is even evident by on the stained glass windows and painting on the ceiling. 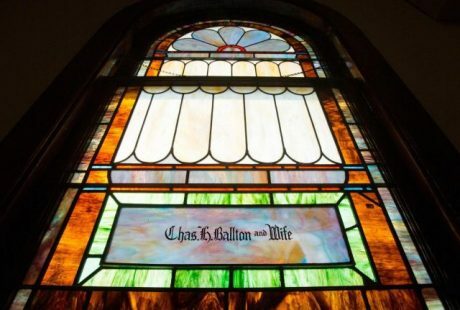 Here at Stained Glass Austin, we have restored a number of churches similar to the amazing chapels above. As restoration experts, we cherish the long church and stained glass history in the state of Texas and would love to work with your church if the need is there. For more information on stained glass repair or restoration in all of Texas, contact us today! There’s no way to deny the charm and beauty of church stained glass. Once you look upon stained glass, it instantly captures your attention. The beautiful colors and images are make it hard to look away from it. For centuries, stained glass windows have been popular in religious architecture. Ancient cathedrals across the globe house beautiful stained glass masterpieces that have been expertly planned and crafted. However, you don’t have to go far to see stunning examples of stained glass. It can be found right here, in Texas and the Southern US. The holidays are officially here. Black Friday is over, Cyber Monday is gone and if you haven’t already done some serious shopping for the people on your list, no doubt you will be doing it in the weekends to come. Looking for the perfect, one-of-a-kind gift is difficult; something special is hard to find on the shelves of stores. That is why each year at Stained Glass Austin we have people come to us to give the gift of antique stained glass for the home of a family they love and cherish. Since we are able to create stunning stained glass in the most popular antique styles, our windows fit nearly any decor. However, our most requested and loved styles are below.